Hooray! It's World Card Making Day! I don't know about you, but I have pretty much set aside the entire day to putter around my craft room making cards, perusing #WCMD2015 and #mftstamps on Instagram, and broadcasting live via Periscope. It's so much fun to think that creative people all over the world are sitting around tables making cards. If only we had one big global table where we could all sit together. I'd wager a guess we wouldn't get a lot done! This is the first of nine posts on this blog today (every two hours from 4 am EDT to 8 pm EDT) where the MFT Challenge & Inspiration Team and our October Guest Designer (you'll get to meet her at 2 pm!) will share Christmas and holiday cards and tips. So let's get to it! Here's the first card of the day made by yours truly! This Fireplace Die-namics is so CUTE! It's part of the October release (not officially available until next Tuesday night! ), and it is just full on adorbs! I'm all about non-traditional colors for Christmas, so my Limelight stockings make me awfully giddy. If you are new to World Card Making Day, here's a little bit of detail about the holiday. The holiday began in 2006 as National Card Making Day as a way to bring card makers together at the beginning of the busiest card-making season of the year. Founded by Paper Crafts magazine, it was first held on October 7, 2006. The initial celebration involved only the audience of the magazine, but since then it has grown into a global celebration. It's a day for the card-making community—hobbyists, retailers, and manufacturers—to unite and celebrate the connection and creativity that is the heart of card making and to kick start the holiday card making season! Happy World Card Making Day from My Favorite Things! See you at 6 am EDT! Wow I am first?! Let the fun begin! I plan to spend time in my craft room today. It's just a few weeks since I had surgery and feel like this would uplift me and aid healing. Super cute and love the non traditional colors! Great card love that stamp set ! Super cute card, love the fireplace and the polka dot background! Joaquin is spreading rain and wind around so what better place to be than my craft room! How convenient! Happy WCMD! Cute card! I'm really enjoying the new holiday release! Christmas cards are so fun to make. So excited about the new release, and Cardmaking Day...great way to spend my birthday every year. Wow happy WCMD and can't wait to see the full new release have already spotted some great must haves. Thanks for the chance to win. Great card too. Love the design and color combo! Super cute! Love the lime green. Happy WCMD! These stamps/dies are adorable! fab card, the limelight stockings are hot! 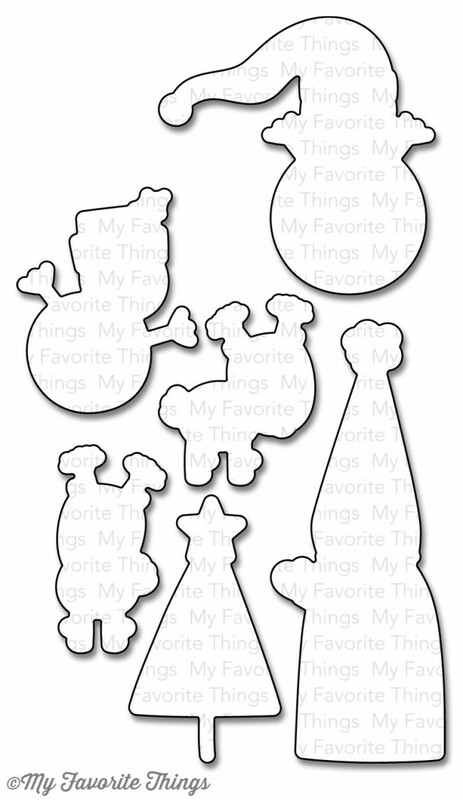 super cute stamps & dies! happy WCMD y'all!! How cute. Love the stockings. Love those stamps and dies, they have been on my wish list since last year! Your fireplace is perfect! Happy WCMD! Love the fireplace die, cute card! You card is wonderful and Happy!! Love it!! LOVE all the beautiful little details on this fireplace, Susan, and the non-traditional colors, so fun!!! I love that this shows that the fireplace can be used for other things than Christmas .... it would make a beautiful House warming card! Such a cute and fun set. I'm loving the fireplace the most. The fireplace is awesome and the polka dots are sol versatile! Can't wait to see the new stamp sets in action!!! Love this set its so fun and the green is awesome! Today I am hanging out with about 24 other ladies at a retreat in BC Canada. Can't wait to see all the cards they create. Thank you for this awesome giveaway! 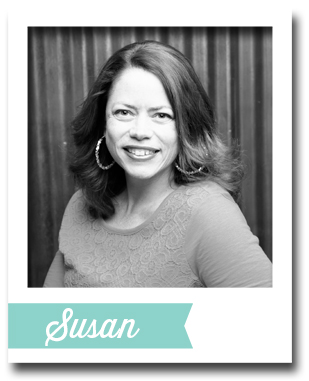 Your card is trendy (of course), balanced and beautifully executed, Susan! Thank you for spreading the joy of card-making! Happy WCMD to you! What an awesome card. I love it. This set has been on my wish list since it came out! Love the fireplace on your card, Susan! Yay!!!! Happy card making day!!!! Such a fun and trendy card! Excited to join MFT for WCMD! Wonderful fireplace - I LOVE it with the pops of bright green! Such a lovely card! Fun prize, too!! Adorable scene you have created! Love it :) Great set and dies too - images are so sweet. Thanks for the chance to win. Your card makes me happy. I love WCMD! Such a fun "holiday"! Thank you for sharing your fantastic card, and for the chance to win the fun little snowmen! Happy WCMD!!! I love this cool scene you created and that POP of Limelight - FAB!!! 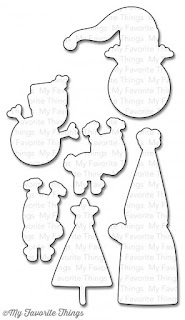 oh, those little cute snowman stamp is just adorable and fun to play with! Happy WCMD!!! I remember this set - so cute. And that fireplace card is amazing, I can almost feel the heat from the fire. Happy World Card Makin Day... Your card is is just adorable..And picture of your card with roses is so sweet.Thanks for the chance to win this amazing prize! Yay for WCMD!! 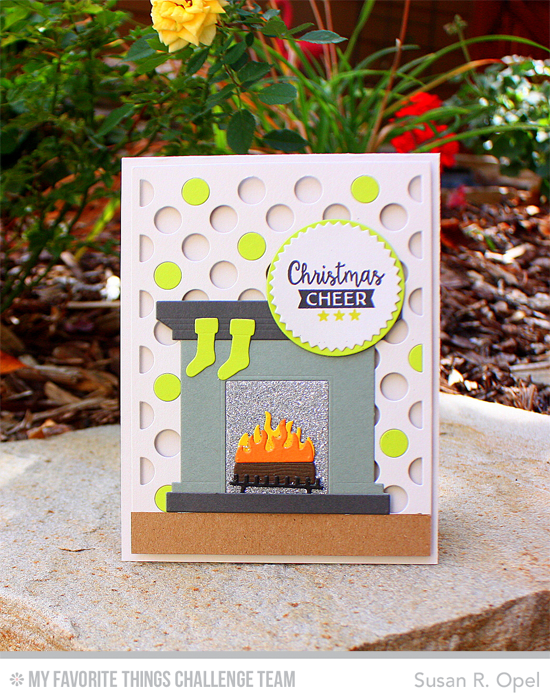 Love your card - That fireplace Die-Namics set is on my wish list! I am loving the fireplace die!! Cool card! Great card with an edge! Great set! Oh what a creative & adorable card, Susan! Thanks for a chance to win this awesome prize! I LOVE the neon-ish touches you added. It adds a fun and modern twist to a very traditional holiday scene. Susan, your card is really cool. what a way to spread Christmas cheer without using traditional colors! Love it! Susan, your fireplace card is fantastic! I love these bright colors and the pretty creation you've made with the paper! Wow! So great Susan! Thank you for your contribution to World Cardmaking day! I love the fireplace and the unexpected color usage. I LOVE that card! I just love when people to something that is unexpected and out of "the norm" and it comes out so great!! ps. I'm going to have to get that stamp and die set!! Adorable card...love the inlaid pops of colour with the fireplace. Love your card Susan! You have inspired me to work on a card when I get home later today. Its cold and rainy here, so stamping sounds like a great plan! I can't believe you began posting so early this morning! Adorable holiday set! Love the bright colors! Those dies are amazing! OMG...I so love that Fireplace Die-namics.Great Card! I Love World card making day. I've been participating for for a few years now. I also love playing around with different colours. Could use that fireplace here today! The fireplace die set is definitely on my wish list. Cute card. Susans card is fantastic and love that dotty background. The fire looks so cool too!! Thanks so much for the chance to win as I don't own any MFT products!!!! Great card, Susan ... love the colors you chose! There's something about a cozy fireplace card that makes me happy and in the holiday spirit! Thanks for the amazing prizes being offered today! Absolutely adorable - LOVE the bright pops of neon on your card! This fireplace scene is awesome! So much detail, great card! Great card, Susan. I love the background with a few dots filled back in of different colors. Super Fun! Your fireplace is great! Thanks to MFT for taking place in WCMD. I'm going to go color some MFT images after I get done looking at all your posts for today in honor of out world-wide celebration! Oh my! I need the fire place and socks die-namics, they are too cute! Loving the lime socks! Way to go. So I love your background die...the one with the holes. And the fireplace dienamics, and your use of non traditional colors. I love it all. Love the lime green on your cute fireplace card. Such a fun card and I love the pop of neon green!!! Happy WCMD!!! Super fun card! I love your limelight stockings too, and the polka dots surround for this fun fireplace set! Awesome card. I love the fireplace die-namic. Wow neon green on a Christmas card? So unexpected and beautiful! LOVE it! Oh, I can practically feel the cozy warmth from that fun fireplace! Cool card .. LOVE the colours! This card brings warm feelings with the fireplace dies. Great! Whoa! Such a beautiful card to post at 4am!!! Love it! Boy howdy, I've been waiting for a fireplace for a long time. My list is getting longer and longer for this release. People may get cards instead of gifts. So fun Susan! LOVE the bold pops of colour!! Super fantastic! Great scene!! love the polka dot background too!! 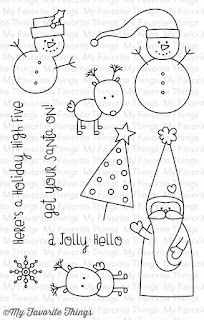 Christmas Cuteness is the perfect name for those stamps! Love the fireplace die set! Such a pretty card - amazing details. I am seriously loving the use of color in this card! What a great layout! Thanks for the inspiring ideas! It's Christmas time in a modern glam loft. That's the vibe I get from this card. Fun! Love the green accent on your card, Susan! I would love to get such a beautiful card for Christmas. Wat a great color surprise - untraditional and fun. I love scene cards - this is beautiful!